This web site is dedicated to offering information and hope to those afflicted with scleroderma and other auto-immune disorders. Kimberly "Dusty" Leal has recovered from this devastating disease and is sharing her story as well as those who have benefited from Dusty's Place. Dusty believes her "think outside the box" approach brought her back to optimum health. This site provides information about her recovery as well as embracing all types of healing modalities both Western as well as Complementary and Alternative. "A pessimist see the difficulty in every opportunity; an optimist sees the opportunity in every difficulty"
Although I have posted this quote before I thought it deserved to be seen again as we face these challenging times. One of my lessons during my journey back to health from systemic scleroderma was that so much of my success was due to how I perceived things. Many situations that could have appeared to me as mountains I chose to see as mole hills as they are much easier to climb! Look for our next newsletter next month honoring scleroderma awareness! You can help the mission of Dusty's Place with a tax deductible donation. Join us in helping those with the health challenge of scleroderma. Do you have a question for Dusty? I thought I’d reach out and touch bases with those of you who in the past have expressed an interest in the mission of Dusty’s Place. Still offering hope and support for those suffering from the health challenge of scleroderma and other auto-immune disorders, Dusty’s Place continues to provide a safe place for people to go who want to “Think outside the box”. If you are interested in helping to promote Dusty’s Place and the concept of combining Western and CAM – Complementary and Alternative Medicine, to achieve optimum health then here are a few ideas. Request some Dusty’s Place business cards/brochures – People often tell me that they have sent somebody to the website for information. Why not offer them a business card with all of the contact information and mission statement? If this interests you just forward your contact information to me and I’ll be happy to send you some. “Like” us on Facebook – If you don’t already “Like” us stay up to date by following us on Facebook. The page is updated regularly with information that touches on all the facets of the healing process that include, mind, body & spirit. Share with friends who embrace the philosophy. Share your story – Do you have a message of hope or healing? Have you tried a remedy, herb, diet or treatment that has been of benefit? Do you have a wonderful doctor that you’d like to tell other people about? If so, please feel free to share this information on The Dusty’s Place Discussion Board. There are a diverse set of topics as well as health challenges listed on the board. Please free to share. You have a voice! Speaking engagements – I am available for speaking engagements. If you would like to host an event or belong to a support group that is interested in embracing a broader scope of healing modalities that include CAM Medicine, I would be happy to participate. Make a tax deductible donation – Interest in Dusty’s Place is growing and along with it the cost of managing it and meeting the needs of those seeking help. Any amount is so greatly appreciated! Here is the link to the donation page. Share the website - We have procured a new host for the website and are in the midst of a large update. There is still a lot of great information on the site and more to come very soon! Think outside the Box! - If you have an idea of how to share awareness or help Dusty’s Place please feel free to share it with me. I am open to new and fresh ideas! To all of you who have supported Dusty’s Place in the past, I am deeply grateful and hope to continue this relationship into the future. If you are in need of help and support with a health challenge, know that I will tirelessly continue to create a place where information from “all” sources can be made available to you. If you’d like to contact me I can be reached at dusty@dustysplace.org or in my office at 530 672-2473. The mailing address for Dusty’s Place is P.O. Box 827 Shingle Springs, Ca. 95682. "Like" us on Facebook and stay up to date on what's happening at "Dusty's Place"
We love it when you stop by for a visit! Dusty always includes a good Probiotic Complex into her daily routine whenever she is prescribed an antibiotic. 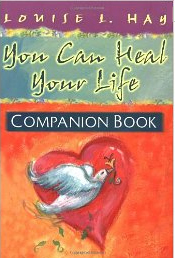 For information about this book and author...read more. The information contained on this web site is provided as general information only. Using any of the information listed on this web site does not guarantee a similar result as experienced by Kimberly "Dusty" Leal and should not be substituted for any medical or psychological treatment. Any stories, testimonials or other information herein do not constitute a guarantee regarding the outcome for any individual using the healing modalities on this web site for any particular issue. While all documents and articles are posted in good faith, the accuracy, validity, effectiveness, completeness, or usefulness of any information herein cannot be guaranteed. Dusty's Place accepts no responsibility or liability for the use or misuse of the information listed here and strongly advises that before you make any health decision you seek advise from a professional.